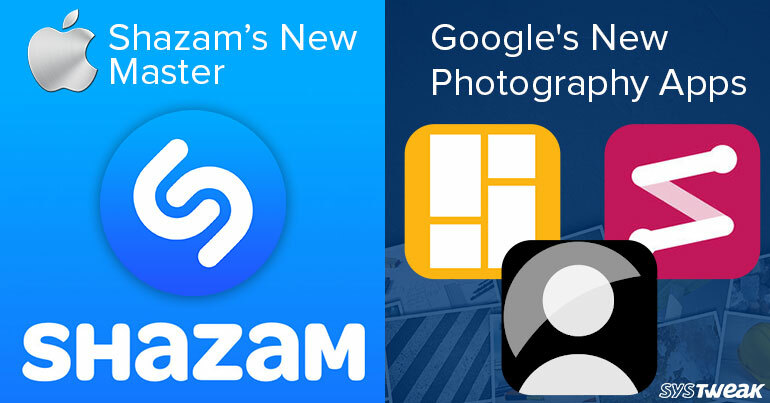 Apple is going to acquire Shazam soon. WHAT IS THE REASON BEHIND THE ACQUISITION? Apple is indeed going to buy Shazam. Shazam is an app which finds out what is the artist and song name by listening to the song. Moreover, it can also tell you about television shows and movies. So whenever a user hears a random song and likes it, all he/she needs to do is download Shazam app and find out what song it is. The company came into being in 1999. Undoubtedly, the app is a useful thing but why Apple has taken interest in it? The reason that could have aroused the interest of Apple is data gathered by Shazam which could be intensely valuable in predicting which song could hit the top charts. This could help Apple Music become more popular. WHAT APPLE HAS TO SAY? Google launches three new photography apps which is a part of their photography app experiments. Google’s success of Motion Stills in experimental photography apps has inspired it to develop more of them. Motion Stills make iOS’ Videos less shaky and the variation of the app was also developed for Android The app uses experimental stabilization and rendering technologies to create videos into cinemagraphs and time lapse. Now, Google has launched three apps Storyboard (Android), Selfissimo (Android, iOS) and Scrubbies (iOS). First one Storyboard is an app which enables you to turn your videos into a single page comic layouts on your device. The concept seems to be similar to the famous photo editing app Prisma feature which enables you to turn your photos into images inspired by art layouts including comic book art. The app uses experimental research technology. Storyboard is a next-gen app for the art-inspired photo effects apps. In Lieu of turning a photo into a comic book art, it selects interesting frames from a video on its own then lays them out using one of six visual styles. Second app launches are Selfissimo, delineated for selfies of course. Given the trend, it has to be there. The app is a selfie photographer which captures black and white photos automatically every time you pose. The outcome is a contact sheet of photos just like the one in a real photoshoot. Scrubbies is the third app which is designed for videos. It enables you to create looping videos by changing the speed and direction of video playback. Unlike Instagram’s Boomerang, Scrubbies let you swipe on the video to remix it. Google quotes the process as “scratching it like a D.J.” Play the video with one finger, capture the playback with two fingers. Then save and share all you want. HOW ARE THESE DIFFERENT FROM OTHER PHOTOGRAPHY APPS? The apps will definitely improve your photography skills. The apps are available on AppStore and Google Play Store. The app are there for users to try out and point out the issues if any. The apps are enriched with various technologies such as person segmentation, stylization algorithms,object recognition, efficient image encoding and decoding technologies and more.